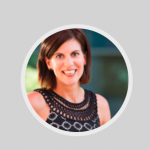 In this post Fabienne Wintle from the Tourism Tribe explains how, and you can too! 1. Please explain who you are and what your role is in the Tourism Tribe? 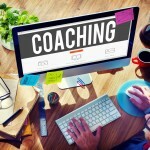 experienced digital coach and absolutely love working with small tourism operators and helping them untangle the big digital web. 2. How did you come into contact with Moondoggie Tours? 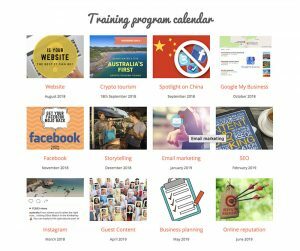 Tourism Tribe is currently delivering one on one coaching to Queensland tourism businesses, as part of a big project that sits under Austrade, which is the Australian Trade and Investment Commission. Basically, we’re helping Australian tourism businesses build competitive digital capability. Some of these wonderful businesses the we are currently coaching happen to share the same postcode as me, in the beautiful Southern Great Barrier Reef coastal towns of Agnes Water and 1770 (that’s where Captain Cook set foot on what we now call Australia, in the year. Arty and Kathy recently started Moondoggie Beach & Bush tours to showcase our beautiful national parks and waterways to small groups. Arty was born to be a tour guide and give you a fabulous experience. Whether you want to try stand up paddle boarding, kayaking or surfing or learn more about the wildlife, he’s got you sorted. 3. What was Moondoggie’s main issue? Moondoggie’s main issue was the fact that they didn’t have a website. This was due to the lack of of time, resources and knowledge. Arty’s on tour pretty much every day and Kathy’s got the business phone and 5 school age kids to look after. They’re also brand new in the Tourism industry and simply don’t know here to start. 4. How did you resolve it? In our 1.5h coaching session Kathy and I build Moondoggie Tour’s website. We first jumped on Wix as this is where Kathy had started. However, the templates weren’t user friendly (in Kathy’s words: there were too many things to change, including colour, etc). So I quickly moved to the hosted version of WordPress (called WordPress.com). I know WordPress well and it’s by far the best website software out there. Kathy also found the WordPress templates easier to use. I definitely wanted them to have a solid base for Blogging (as creating content will key to their future Google rankings) and this is one of the main reason I set them up on WordPress to start with. As Kathy’s internet was very slow, I ended up spending an hour back in my office to finish off the website for them. 5. How much did it cost them? The coaching session they received is worth about $500, and I was happy to donate the extra hour of my time to fix things as the slow internet really stopped us from finishing everything that day. 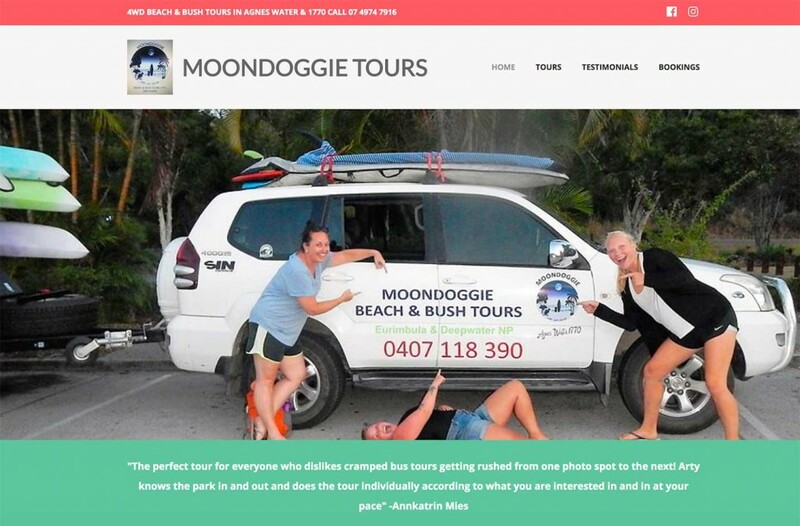 I did recommend to Arty and Kathy to buy a domain name though, as without it they have a bizarre looking domain name (http://moondoggietours.wordpress.com). Once they buy the domain name they’ll be able to connect it to their new WordPress.com site and upgrade their plan from free to about $10 per month. This will also give them access better search engine optimisation tools and access to Google Analytics on their WordPress hosted site. 6. What did they have to do? Kathy had to upload all the photos to the website for me, and that’s a long process. Thankfully she did it quickly. I noticed they were huge though (way too big for the website) so I directed Kathy to the images hub in Tourism Tribe. 7. What was the outcome? An online presence for Moondoggie Tours! Now that they have a website, they can also set up their TripAdvisor listing. 8. How long did this take? All in all, with the drive to their business place, it took us 3 hours!. 9. How will this benefit their business? Moondoggie now has an online presence which will greatly improve their customer reach. Customers can find out about them and what they have to offer, view reviews and contact them. Although they don’t yet have online bookings they have cleverly compensated for this by providing clear expectations about when they will get back to the customer. The website also links to their Social Media platforms where extra content can be viewed. 10. Can any existing members or new members do the same? Existing members can upgrade to “Premium” membership – Login > Go to Help > Manage my Membership > Change . The upgrade to Premium, this will entitle you to one-on-one coaching and the help desk will contact you to organise your session.